Johnson & Johnson Company Information Is this your company? Add your own content to this page. We currently have 9 open jobs at Johnson & Johnson. 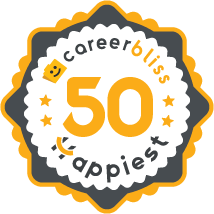 We've calculated that the average salary at Johnson & Johnson is $71K based on 2,735 user-submitted salaries A total of 280 Johnson & Johnson employees gave Johnson & Johnson an average happiness rating of 4.1 out of 5.0. 145 Sales Representatives from Johnson & Johnson submitted salaries. There is a very hierarchical structure here where people sometimes try to horde personnel or resources as a matter of status or importance. There is some wasted talent as personnel are occasionally hired to do jobs that occupy a limited segment of their skill set, or require a limited segment of their workday. Train people to do multiple jobs, and shift the workpool when departmental needs dictate it. I thought it was wasteful to fill every position for peak workload conditions. I would recommend to change the obvious work horse/show horse culture, or after enough time, the capable people who provide the actual work will leave, and nothing will remain besides the Potemkin workforce who know how to make travel reservations, but not much else. Management is very open for the most part when it comes to improving or at least implementing ideas and suggestion provided to them. They are very big on following the corporate values of our CREDO and each year we have numerous surveys and groups that function as mediators to help with developing and environment that is conducive to what our CREDO values stand for. The use of focus groups and credo champions allows every voice to be heard as well. Johnson & Johnson was founded in 1886 by three brothers, Robert Wood Johnson, James Wood Johnson and Edward Mead Johnson. They opened their business in New Brunswick, New Jersey, offering a line of ready-to-use surgical dressings. Other product lines quickly followed, including the first commercially-available first aid kits, the company's now-famous baby powder and maternity kits designed to give women a healthier childbirth experience. Johnson & Johnson has long prided itself on offering cutting-edge medical technologies. As far back as 1931, one of its operating companies offered the first prescription contraceptive gel. In 1944, the company started its worldwide diagnostics business when Dr. Philip Levine joined its Ortho Research laboratories. That same year the company was first listed on the New York Stock Exchange. Since its humble beginnings, the company has grown into the sixth-largest provider of consumer-health products worldwide. It is the world's largest provider of medical devices and diagnostic technologies. It also carries a line of pharmaceuticals and biologics. Still headquartered in New Brunswick, Johnson and Johnson now has over 250 operating companies in 60 different countries, and it employs more than 116,000 people worldwide. The Johnson & Johnson culture is strongly tied to the company credo, penned in 1943. Johnson & Johnson looks to its credo as a moral compass as well as a model for business success. The credo outlines the company's commitment to its employees as well as its obligation to provide quality products and services to the public. It also encourages active participation from its employees in the company and in the welfare of their own communities as well. People who work for the company today report that it offers a pleasant workplace and congenial management. Johnson & Johnson careers are as diverse as the company. Career paths include those in bioengineering, network systems, supply-chain management, product development and pharmaceutical research. Because of the opportunities for advancement, working at Johnson & Johnson often turns into a life-long career for many people. When considering employment choices, benefits are as important as salary. Johnson and Johnson benefits include medical, dental and vision insurance as well as health savings accounts, life insurance and disability coverage. The company also offers a tobacco cessation program, auto and home insurance, accident insurance and a commuter benefits program. Johnson & Johnson is a well-established company with a history of concern for its employees. With its wide product-base and ability to adapt to modern markets, it will likely be around for years to come.